I imagine the archetype of the astronaut as a strong feminine figure traveling inside her internal space created by sexual assault and trauma to find the truth. 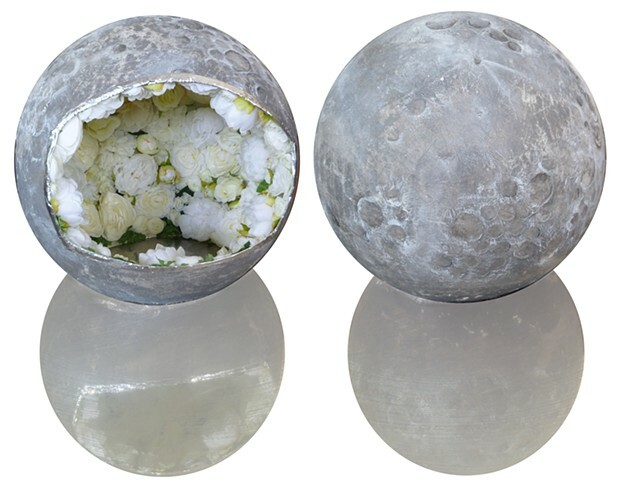 This space may not be safe or inhabitable, so the helmet provides a sense of safety, altering auditory perception and filled with white peonies and roses to create it's own oxygen and calming aroma as well as celebrating the feminine with floral metaphor. This helmet can be retrofitted with EMDR tactile units to serve as a medical device in the treatment of PTSD symptoms.